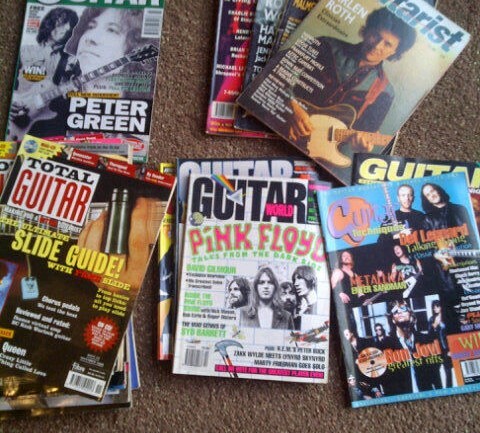 A friend recently gave me a load of various guitar magazines from the 80’s and 90’s. 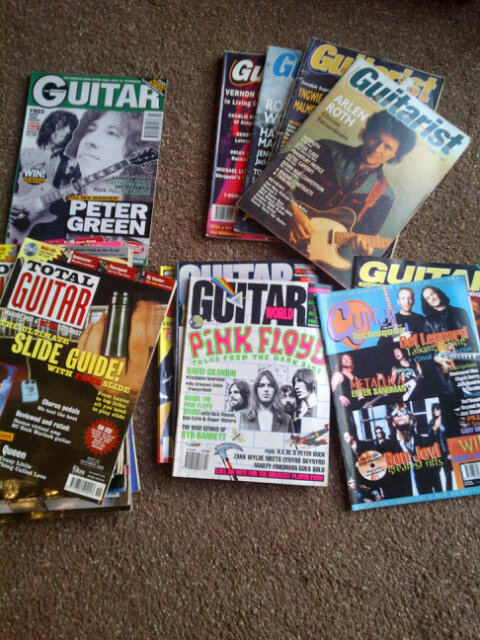 Aside from the haircuts and fashion, it seems the topics that guitarists were discussing 20+ years ago are similar to the conversations taking place in the guitar-sphere today. 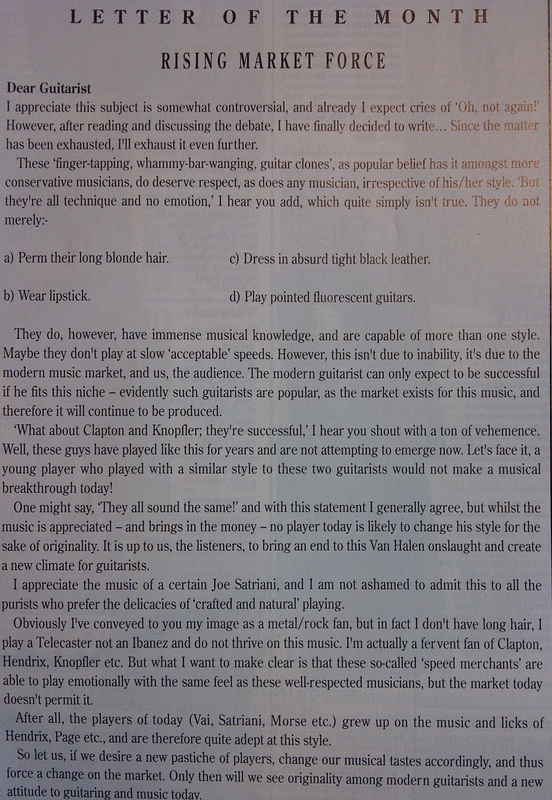 An example below is a letter published in a 1990 edition of Guitarist Magazine, with the writer discussing the differences between guitarists who shred – and those who don’t. Credit to the letter writer though – although he doesn’t seem to be a fan of “shred”, he does recognise it takes skill, determination and talent. He also argues that shred guitarists approach their playing with feeling. 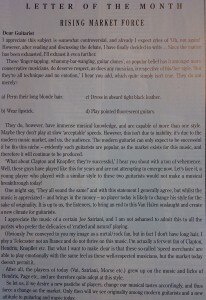 This letter was published originally in Guitarist Magazine, 1990.